It&apos;s like Christmas came early. You go all summer without pumpkin spice lattes and finally, FINALLY your favorite fall flavor is back. What if we told you to go beyond the pumpkin spice lattes this season? Would you even know where to start? Hear are some seasonal items you MUST try here in Dunwoody - even if you have a pumpkin spice latte on the side. Everyone in Dunwoody loves Alon&apos;s Bakery and Market. They have the BEST baked goods. If you stop in during the fall you can find pumpkin scones, pumpkin pie, and caramel dipped apples. 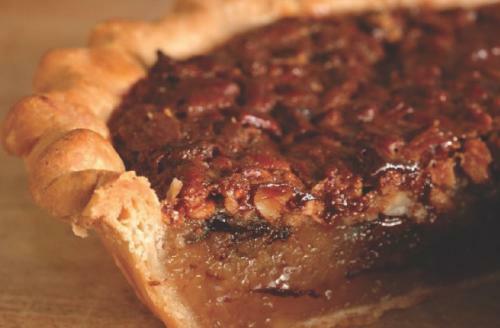 You can also purchase individual pies from pecan and chocolate chunk pecan to apple and apple caramel. 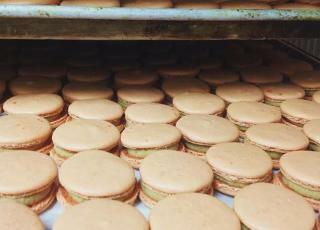 Known for their colorful macaroons, they unveil special pumpkin-flavored ones exclusively for the fall, in addition to pumpkin bread! Okay seriously, go to Alon&apos;s. No more reasons necessary. Seasons 52 brings the best ingredients and flavors to the table every season. They feature a new menu for each season, which is the perfect excuse to keep coming back to this place. Their new fall menu is too extensive for this section, so consider this a personal invitation to check it out for yourself. Highlights include an autumn fondue, Butternut squash soup, and cider-glazed grilled chicken skewers. Oh, and THESE. Your visit is incomplete if you pass up the opportunity to order of their mini indulgences. Start with the pumpkin pie one. It comes with pumpkin mousse and a gingersnap cookie. Then move on to the pecan pie mini indulgence. Since they are miniature, you can order more than one without feeling guilty. Because no one should have to choose between those two heavenly creations. If it&apos;s comfort (food) that you seek, you can definitely find it in these fall menu items at the Capital Grille. Start things off a warm and toasty note with their delicious French Onion Soup blanketed in melted cheeses. 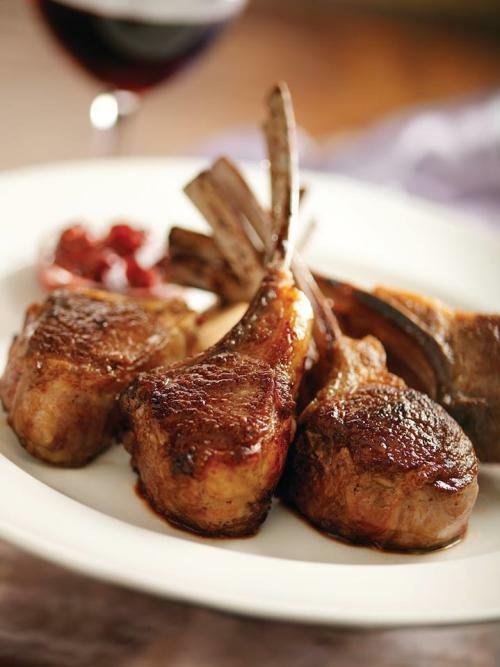 From there you can go with what seems like a million choices, but we highly recommend either the Seared Tenderloin with Butter Poached Lobster Tails or the Double Cut Lamb Rib Chops. They&apos;re fall-off-the-bone-and-fall-into-your-heart good. Share a side of Lobster Mac & Cheese with your guest, and you&apos;ll be begging to eat at Capital Grille every night. Pro Tip: To score a great deal this fall, check out their Waygu and Wine promotion running from September 11 - November 18. You can choose from one of three different Waygu beef burgers to be coupled with a side of truffle fries and their suggested wine - all for just $25! With a seasonally inspired menu, excellent selection of vino, and expert staff eager to offer wine-pairing suggestions, you&apos;re sure to have a true wine and dine experience at Vino Venue. 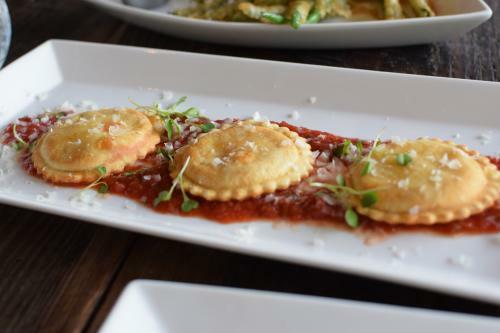 Below you will see their fried three cheese ravioli served with marinara parmigiana-reggino. It&apos;s the perfect appetizer to get your warmed up for your next course. Fall is the season for reds, so we love to go with the red wine braised short rib with polenta, blistered green beans, demi-glace, with preserved lemon gremolata. Wash it all down with a nice Cabernet Sauvignon and you&apos;ve had yourself a meal. For even more menu highlights and date night inspiration, check out part one of our Dunwoody Date Night Series featuring Vino Venue. It&apos;s harvest time, ladies, and there is plenty for picking at Perimeter Mall. Find something that "stands out for good" at Altar&apos;d State on the second floor. From decorative signage to statement pieces of jewelry and clothing, Altar&apos;d State is sure to become your new obsession. With charitable initiatives like Mission Monday and housing philanthropic brands in their store, you can feel good about filling your shopping bag. 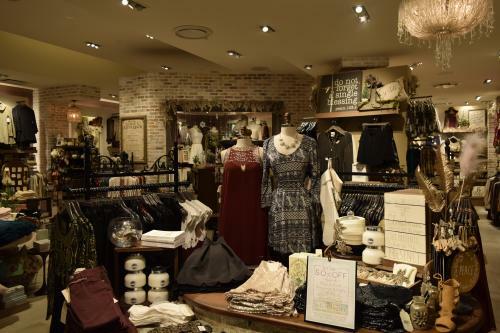 Venture outside of Perimeter Mall for even more specialty items. Some local favorites are Under the Pecan Tree and Enchanted Forest. At these boutiques you will get lost among the pretties and find irresistible keepsakes with just the local flair you were looking for. Whether you are looking to decorate your home or your closet, you are sure to leave happy from both of these stores. Last but not least are the layers! Dress Up Boutique and Fab&apos;rik have all the scarves, vests, and boots your heart can stand. Stock up on seasonal essentials such as gem necklaces, ankle booties, and sweaters that are just as cozy as they are cute. With such an itinerary before you, your best bet is to book a weekend stay this fall. Dunwoody is the perfect place for a girlfriends getaway. We have shopping, wine, spas - everything that women love. Don&apos;t just take our word for it. Come see for yourself.